In the increasingly global world, the question of national identity and whether we still need is puzzling. It is especially relevant for the emerging generation of Russians. Amongst an international attention to post-Soviet aesthetics and a complex political situation, they’re also facing the challenge of shaping their own new look and narrative. Photographer Eugene Shishkin is trying to explore “Russianness” beyond the western gaze, as it exists in unremarkable and invisible corners of his country. Shishkin first started questioning Russian identity and its representation in fashion while studying photography at London College of Fashion. Immersed in a completely different environment, he kept returning to small details of Russia’s urban environment he would never find abroad. “The three years I spent in London allowed me to look at Russian culture from a distance, and with fresh eyes. I wanted to show Russian history a bit broader than is happening today in fashion, not just at 80s and 90s, but to reference Imperial Russia, Soviet era and Russia now”, he says. “Every location I picked for the shoot was supposed to show Russia — which is very mundane for us — but completely unknown for the western viewer. I was aiming to keep the balance between beauty and authenticity. In our society, there is a stereotype — which is currently dissolving which I’m very happy about — that beautiful places are meant to be European, western. We are often used to our surroundings and don’t notice their authentic richness”. Shishkin’s story unfolds in the places which any Russian would recognise and remember but which we usually pass without noticing: staircases, underpasses, parking lots and garages, park benches, small rooms of old flats. It also represents the crazy blend of historical references in Russia’s urban space: carpets drying by the onion domes, Soviet mosaics, an edge of a tower block estate. There is no exoticism in these images — this is what you could see in Moscow on your walk to work or university. There are a couple of nods to the ever-present Russian stereotypes: Lenin bust and a bear, which in this context become silent symbols of the western viewer and Shishkin’s awareness of his presence. “The beauty of history was easier to show”, he remembers. “It shines through in historical architecture, monuments, museums. It was harder to work with mundane reality as it’s often perceived as tacky and unremarkable. Being in London really helped me with that, I was trying to find beauty in differences, in courtyards and staircases. I didn't have a special preference in colours, but didn’t want to exploit red which is a bit overused for Russia. The era of communism is long gone and it’s not the only thing in our culture”. People in Shishkin’s photographs are mostly not professional models: he found them through friends or social media, the main criteria being character and attitude. The clothes he used are from emerging Russian designers such as Ksenia Seraya, Setka, Makoday, SHLZ and Nnedre. 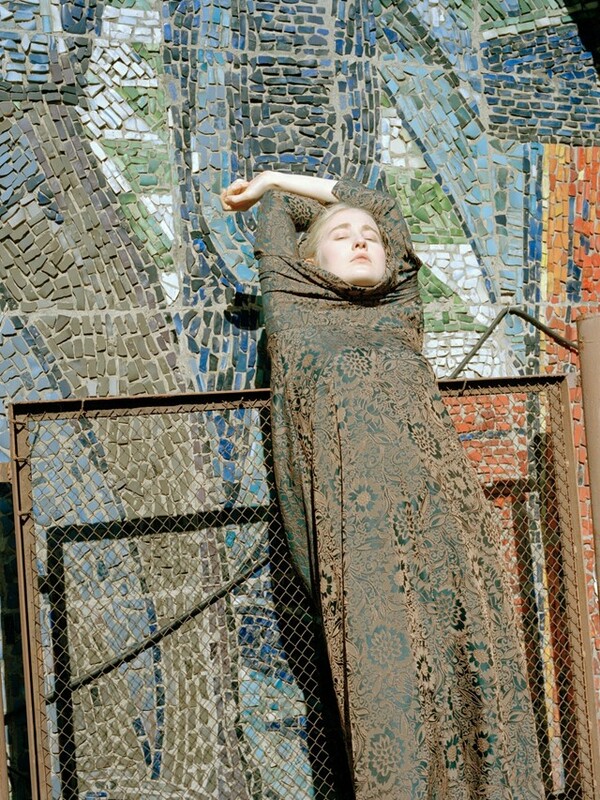 “I can feel the attitude to fashion imagery changing in Russia, there are new people with new broader perspectives and new ideas, and they want change”, Shishkin adds. “It will definitely take time, and I think people underestimate the potential of their work and what it could express. To me, Russian fashion designers at the moment are still more original and authentic than fashion photographers, but I think they’re paving the right way and together we would soon create something truly unique”.